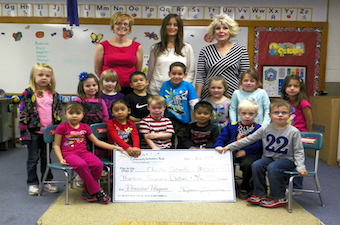 Pictured: The Cheylin Preschool receiving a grant from Bird City Century II Development Foundation for $13,000 for operations and supplies for the 2013-14 school year. 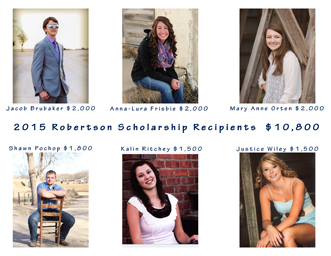 The Edgar and Mabel Robertson Scholarship applications are made available to USD 103 Cheylin High School graduating seniors and is paid out over four semesters. A total of $199,250 has been awarded to 2003-2015 graduates. The Bird City Business Development Scholarship is a scholarship program offered by the Bird City Century II Development Foundation to individuals wishing to expand their education, and live and work in Bird City. This scholarship is based upon financial need and a commitment to return to Bird City, fulfilling our goal to enhance the business community of Bird City.